Unmanned vehicle technology, once considered a scientific experiment itself, is now a reliable tool for researchers to conduct scientific experiments and gain knowledge in ways that were previously unavailable. The outcome is often faster and more efficient data collection, saving operators both time and money. Confidence inand adoption of the technology in many markets including defense, security, aquaculture, offshore energy, hydrography, and oceanographic research, continue to increase as the technology matures. Unmanned vehicle technology, once considered a scientific experiment itself, is now a reliable tool for researchers to conduct scientific experiments and gain knowledge in ways that were previously unavailable. The outcome is often faster and more efficient data collection, saving operators both time and money. Confidence adoption of the technology in many markets including defense, security, aquaculture, offshore energy, hydrography, and oceanographic research, continue to increase as the technology matures. The oceans, which cover approximately percent of the earth’s surface, remain largely unexplored and uncharacterized, despite decades of research. Until recently, ocean research has been laboriously slow, mostly manual, incredibly expensive, and accomplished mainly by large ships with shipboard sensors or sensor-laden mooring strings collect samples from discreet areas of the ocean. Over the past decade or two, unmanned "robots"have been developed that can operate remotely or independently for periods of time and access areas that were largely inaccessible by larger vessels. Many are considered low logistics, requiring little to no infrastructure to launch and recover, thus reducing the cost of operation.The practical utility of these vehicles, however, had been hampered by the slow development of viable sensors that meet the form factor and power requirements of these new vehicles. Today there is an increasing number of sensors available for these unmanned systems and thus the market for them has increased, making unmanned vehicles a monitor and gather data from near and remote areas of the ocean. This article examines the use of Teledyne’s broad range of unmanned vehicles and the forward thinking Universities and researchers that employ the technology in sometimes novel ways to gathering data and answer questions that until now have gone unanswered. Dr. Ralf Bachmayer, an Associate Professor at Memorial University Newfoundland, is also the founder of the Autonomous Ocean Systems Laboratory (AOSL). One of AOSL’s important projects is the Ice Ocean Sentinel System (IOSS), which uses a collection of technologies to monitor and profile icebergs above, on, and below the sea surface. The overall goal of this project is to improve the predictions of iceberg movements and iceberg decay and reduce the risk for marine transportation in the region. The data are important for sea ice management and situational awareness. To monitor and characterize icebergs below the water line, AOSL is using a Slocum hybrid glider from Teledyne Webb Research. The glider carries a variety of sensors including a USBL modem (Teledyne Benthos, North Falmouth, MA) and an ADCP (Teledyne RD Instruments, Poway, CA). The glider has a thruster installed to allow for horizontal flight and an extended nose cone outfitted with scanning sonar. Collecting data on the icebergs over long periods of time is expensive using traditional methods. Gliders, however, are significantly less costly to operate and are ideally suited for deployments. Dr. Bachmayer explains that the gliders are using a specialized algorithm developed at Memorial enables them to operate autonomously around the icebergs by compensating for the both the movement and the decay of the icebergs. The algorithm runs on the glider utilizing a separate computer that interfaces with the glider control system, sending the glider new headings as needed. “People often refer to it (the algorithm) as the back seat driver”, explains Dr. Bachmayer. 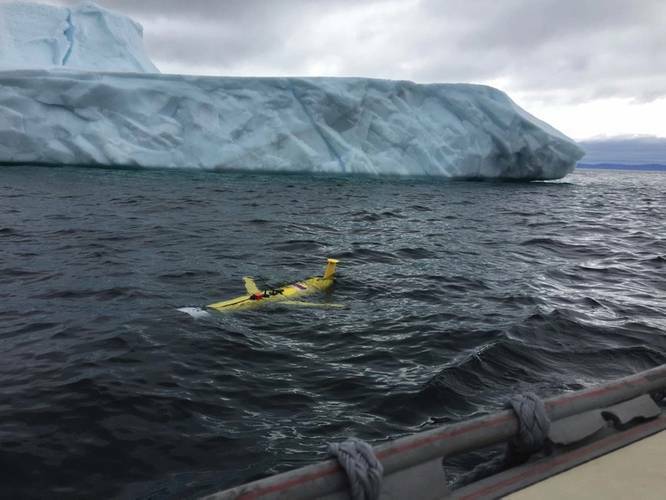 As the glider flies around the iceberg underwater, the scanning sonar is used to determine the path of the iceberg and also to map the iceberg. “The glider was moving on its own without us setting waypoints of any kind while mapping the ” said Dr.Bachmayer. AOSL is not only collecting data about the shape of the icebergs (including mass estimates), but they are also collecting oceanographic and metrological data around the icebergs. “It is an input-output relationship” explains Dr. Bachmayer. “The input is currents, winds, and waves. The iceberg itself has its shape, which will affect how it is going to be pushed by the winds, and currents. In addition, we are also collecting data around the iceberg. That’s where the glider is important. 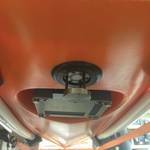 The ADCP is also important for the current profiles. The glider is supposed to stay with the iceberg for an extended period of time, weeks if possible, and report the data back satellite.” AOSL provides the data output to the operators and also to modelers who can then work on improving their iceberg forecasts and their iceberg models. “The main factors for us are the endurance and robustness of the glider. The glider has a long endurance already, so that matches well with the goal of this project, which is observation. We know the glider very well. I have been working with gliders for over 13 years now and we know where they lack and we know where their strengths are, so we find this is a good match”, summarizes Dr. Bachmayer. For more information about the AOSL and their research, please visit www.engr.mun.ca/. Based on the Scottish west coast, the Scottish Association for Marine Science (SAMS) is Scotland’s largest and oldest independent marine science organization. Dr. John Howe is head of the Biogeochemistry and Earth science department at SAMS and has recently used the Teledyne Gavia AUV, which is named Freya, for a project studying Neolithic landscapes in Orkney that date back “Sea levels were a lot lower previously than they are now so you can look at the offshore landscape as being the previously terrestrial landscape”, explained Dr. Howe. Working with Aberdeen University and the University of St. Andrews, the team looked at some areas off Orkney around the famous Ring of circle. The AUV also operated in the Loch of Stenness and the Bay of Firth. During the surveying, some interesting features were located on the bathymetry and side scan images. The areas of interest were photographed, revealing stones on the seabed that may be an indication of previous settlements now drowned by the rising sea levels. The project, which took place in a shallow water coastal zone, had unique challenges directly attributed to the water’s depth, which is not a typical operating depth for AUVs. Operating safely in relatively un-surveyed water of less than 10m depth was significant and most of the operations took place in about 6m of water. The vehicle had to "understand“it was in shallow water and effectively had to run as a mini surface vehicle. The team borrowed row boats to retrieve the AUV, a demonstration of the low logistic design. “We with Freya in the back of a van and drove up to Orkney then carried her into the water wearing dry-suits and launched her. For it demonstrated the utility of the vehicle and the idea thatTeledyne Gavia has been promoting, which is the low logistics of the vehicle. Having this small footprint also helps keep costs down”, said Dr. Howe. 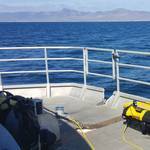 Dr. Howe and his colleagues have now set their sights on launching the AUV in underwater Fjords off the coast of Patagonia in February or March of 2017. To learn more about SAMS, their programs, and their research, visit www.sams.ac.uk. Follow @ScotMarineInston twitter. The primary range for the Atlantic sea scallop fishery is from the to the US/Canada border. Sea scallops, which were nearly wiped out 20 years ago, are now a sustainable $1 billion industry due to several actions that were taken to help the population recover. Keeping track of these populations is important in the overall management of the species. Research scientist Dr. Arthur Tremban is and his team University of Delaware’s Robotic Discovery Lab,have been studying scallop populations using a Teledyne Gavia AUV to collect population density and mapping data of known sea scallop habitats. 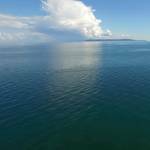 “We have had our Gavia AUV systems for about eight years now in both a base configuration and a mapping configuration. The modules we have are side scan sonar, a camera, and some water quality sensors including, dissolved O2, chlorophyll turbidity and an acoustic modem” describes, Trembanis. Trembanis’ team uses the Gavia’s base vehicle configuration frequently for seafloor and habitat mapping efforts. They have been mapping sea scallops off the east coast using the Gavia’s camera, allowing the team to count the scallops and establish their abundance. AUVs have replaced more costly and inefficient methods of monitoring scallop populations and opened up a number of avenues for researchers interested in studying their habitats. 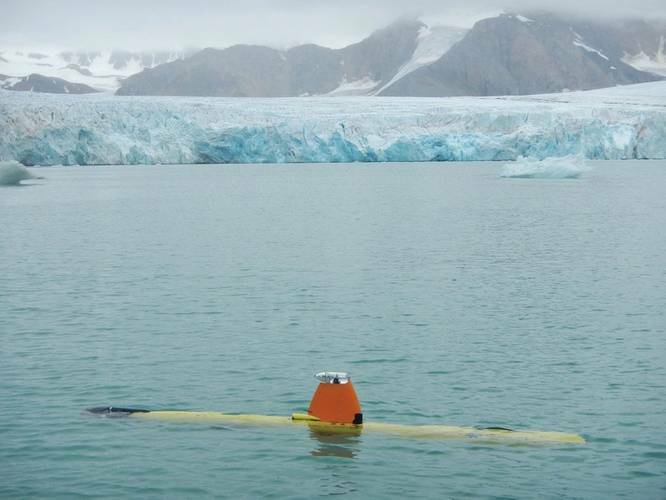 The AUVs can cover a larger area in less time than other methods and have the added benefit of being able to act and move on their own (autonomous operation) and collect samples without constant direct input from a surface-based control station. They can be operated alone or in coordinated fleets. “We use the AUV to fly over the seabed and take hundreds of thousands of photos each in a sequence”, explained Trembanis. The research and data being collected have already aided in developing limited fisheries in the closed areas of Georges Bank. In addition to providing managers with precise stock assessment information, the surveys constitute a large examination of the environmental impacts of bottom-tending mobile fishing gear. The scallop fishery predominantly utilizes paired or single scallop dredges throughout the entire range of the fishery. Trawl gear is used, to a lesser extent, in other regions. 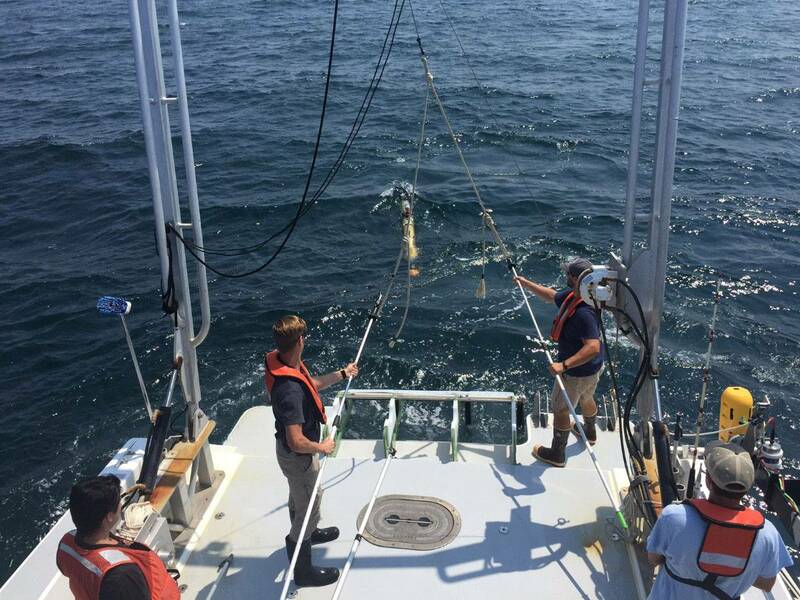 Trembanis and his team at the University of Delaware conducted research, using the AUV, on incidental mortality caused by fishing with dredges and trawl gear. Photographic surveys taken before and after a scallop dredge gave researchers new insight on the effects of the practice, which led to reduced dredging time and the damaging effects to the scallop population from fishing on the sea floor. “The scientific community is increasingly relying on optical solutions. They want to be able to pull up a photo and see that that was a pipe or that was a mine or a wreck. The scientific and mapping communities are moving toward using optical approaches for mapping and examining habitat. It’s the only way you can get at species level stuff. I can tell you there is a reef there or some rock or sand or mud, but I can’t tell you anything about species until I actually have photos on it,” said Trembanis. Researchers at the University of Washington began working with Doug and Dan Webb during the 1990s. “Doug was a designer of the APEX buoyancy engine to control the floats’ depth, and we were one of the first users of it in an Atlantic project. We got the buoyancy engine working, and then a CTD to mate with it; this allowed us to collect temperature, salinity, and pressure data. That was the first time this was possible without a research ship,” said Dana Swift, scientist at UW. CTDs had been shipboard instruments prior to that time. "The University of Washington and Webb built and launched the Autonomous Profiling Explorer (APEX) and this was essentially the beginning of everything that followed“explains Swift. Argo has made remarkable progress toward the objectives that were set in 1998. It is the mainstay of in situ system and its extremely rich dataset have made possible research and operational activities that were previously impossible. Argo data have shed light on some of the key questions about the oceans’ role in the earth’s climate system. 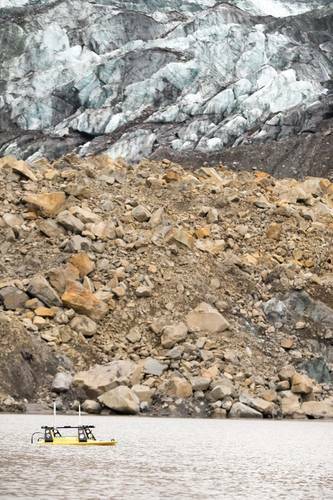 In October of a massive landslide was detected at Tyndall glacier in southeast Alaska. 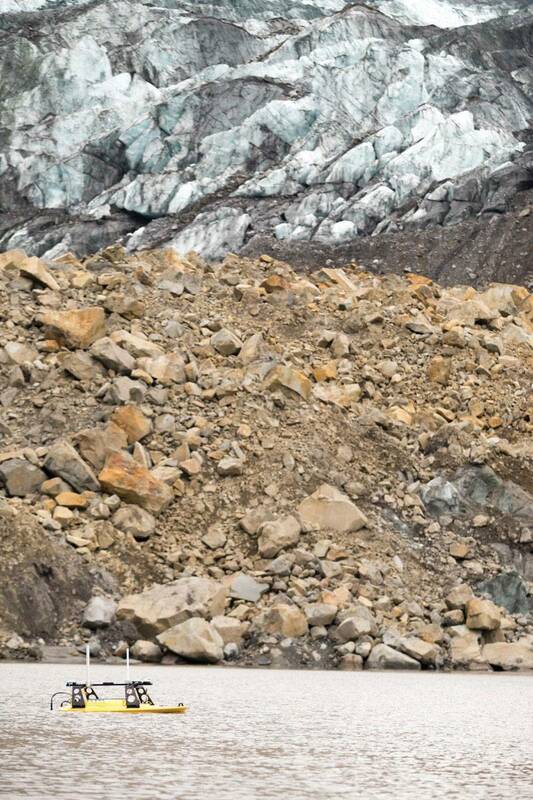 An estimated 180 million of valley wall collapsed into Taan Fiord. Researcher Dan Shugar from the University of Washington Tacoma traveled with a team this summer to investigate the damage caused by the landslide. Dan Shugar explains, “Taan Fiord is an arm of Icy Bay in southeast Alaska, the valley there was full of ice not too long ago, within the last few decades. Over the past several decades, Tyndall Glacier has retreated.When these glaciers retreat they don’t hold up the valley walls anymore. The glaciers erode the valleys to make very steep sidewalls and when the glaciers retreat those sidewalls are oversteepened. One of the side effects of that over steepening and then is that the walls can collapse catastrophically in the form of massive landslides.” Seismologists at Columbia University detected the seismic signature from thousands of miles away in New York. With a grant from the National Science Foundation, team and their new ruggedized Teledyne Oceanscience Z-Boat set out on an expedition into the affected area. The goals of that trip were to map the fiord floor with multibeam sonar and other seismic geophysical techniques that would allow them to see below the surface to determine the thickness of the landslide debris. “We had a large group of scientists from Columbia University, the National Park Service, University of British Columbia and elsewhere. I was there to map the submarine deposits with my Z-Boat (‘Jökull’, Icelandic for glacier) and help from Jeremy Venditti, from Simon Fraser University in Canada, and Doug Bonno, one of my undergraduate students at UW Tacoma. There was another much larger boat, the USGS Gyre, which had much larger instrumentation aboard including a Teledyne Reson T50 and a couple of seismic systems. On the Z-Boat, we had the Teledyne Odom MB2 and an SBG -D INS and so that gave us Real Time Kinematic (RTK) position as well as heave, pitch, and roll of the vessel. The RTK data were being broadcast from a Trimble R10 base station that we brought. We did some velocity corrections and CTD measurements with an AML Oceanographic MinosX instrument. 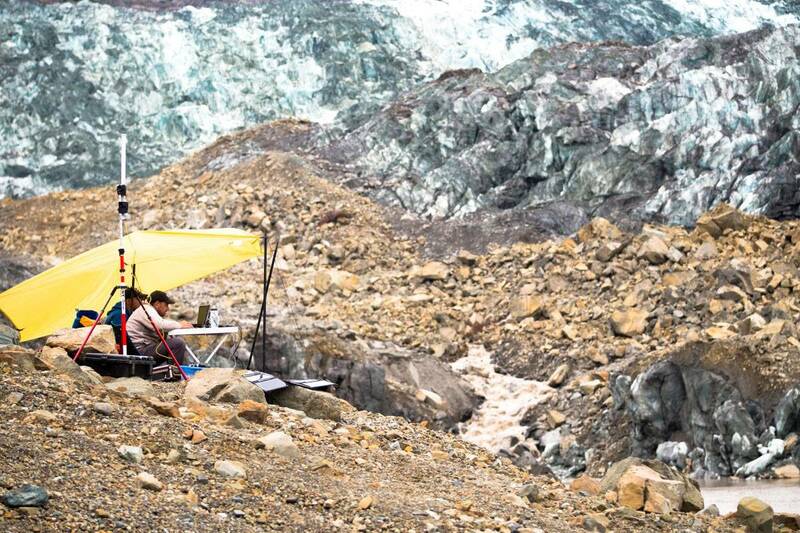 Each day, we would set up a makeshift office, which was a little table with a couple of chairs on top of bouldery deposits on shore. We had a field laptop, power supply with solar panels, and radio antennas to communicate with the Z-Boat.” The researchers needed to work very efficiently, out in the middle of the wilderness with everything powered by batteries. The Z-Boat proved to be a useful tool, dodging icebergs and getting into areas too dangerous for the larger ship. “The Z-Boat was such a great tool for this particular project. We were working on a gigantic landslide in very steep terrain in front of a calving glacier, which is a pretty hazardous place to be around, so you don’t necessarily want to have a vessel with people aboard in this kind of environment. The slope that collapsed is potentially unstable even now and so another landslide could occur. You don’t want to be too close to the calving face of the glacier because if a big piece comes off,it could generate a wave that could flip your boat. The Z-Boat allowed us to get into these otherwise inaccessible locations that the larger USGS boat wasn’t comfortable doing, either because it was too dangerous or potentially too shallow. We were able to fill in the gaps where the big boat didn’t really want to go” said Shugar. Having the Z-Boat greatly increases their chances of continuing to collect important data and gain access to remote locations. “As a geoscientist that studies geo-hazards in particular, the ability to go where we have never been able to go or map what we have never been able to map, with this kind of resolution, in these extreme environments and remote areas is . Not only can we answer more profoundly scientific questions than we’ve been able to in the past but also we can ask new questions” concluded . Learn more about Dr. Shugar and the Lab at http://faculty.washington.edu/dshugar/ (WaterSHED Lab). Follow Dr. Shugar’s latest expeditions on twitter at https://twitter.com/WaterSHEDLab. 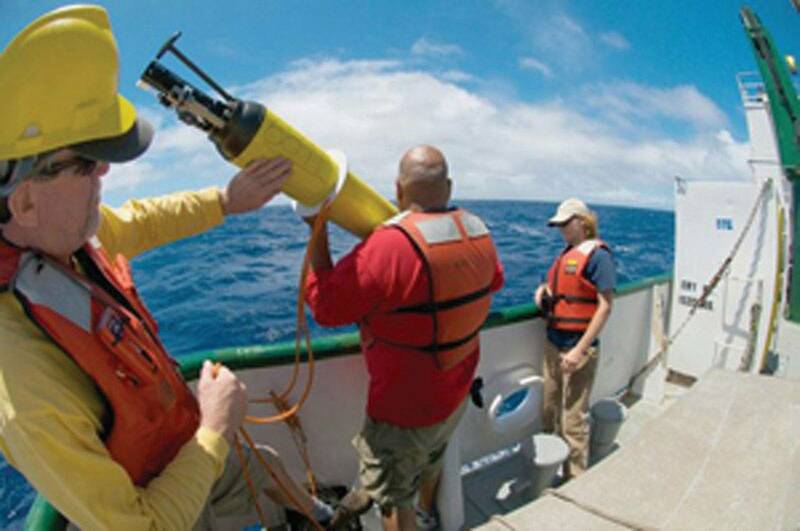 Unmanned systems are an important contributor to ocean research and exploration. Their ability to access remote areas, for longer periods, and keep humans largely out of harm’s way while providing scientists with data to better understand the complexities of the ocean or the impacts of climate change are all significant accomplishments. The benefit of partnerships between manufacturers and researchers are obvious from the advances that have been made in unmanned vehicle technology and the sensors they carry. 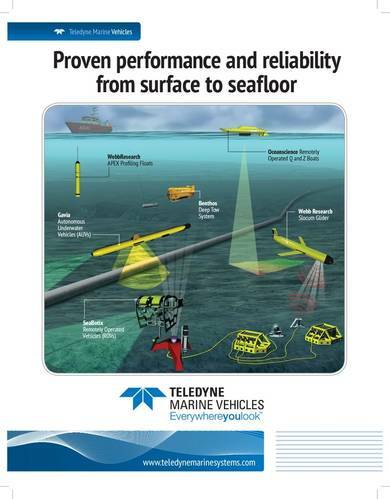 Teledyne Marine is proud to partner with the researchers in this article and elsewhere who continue to challenge the technology and demand more so that they can continue to ask and answer the questions that help us better understand the world we live in. Each Mission Specialist system contains exactly the components and configuration needed for its mission. Whether it is an ASV, AUV, ROV or indeed a sea mammal such as a seal or dolphin, all instrumented vehicle types need various sensors to meet and maintain design criteria or operational demands. The challenge for us as manufacturers is to match those demands with sensor designs and packages that meet varying specifications of size, weight, material, depth, power constraints and budgets without making each requirement a “one off” (as there are of course additional cost and time implications associated with a ‘one off’). Near real time data processing facilitates the success of pioneering autonomous survey operations in support of national charting surveys of the USA.